Ready for a Brazilian Break with our Brazilian music streaming page? You can share this with your friends by using the share buttons above. You are welcome to enjoy our network of 10 different channels from our new Streaming Page anytime, including BossaNovaville, Café Copacabana, Brazilian Jazz and The Sunday Brazilian Brunch, New Music: Brazil, and yes, even A Brazilian Christmas! Connectbrazil.com is a Brazilian music streaming pioneer. We launched our first three Brazilian music streaming channels with Yahoo Radio in 1999 (19 years ago!). Then we moved our Brazilian music network to Live365.com, where the popularity of our streaming channels grew to consistently rank us in the top five of Live365.com’s Jazz category. Today, we have partnered with Chicago-based AccuRadio.com to entertain even more listeners worldwide. 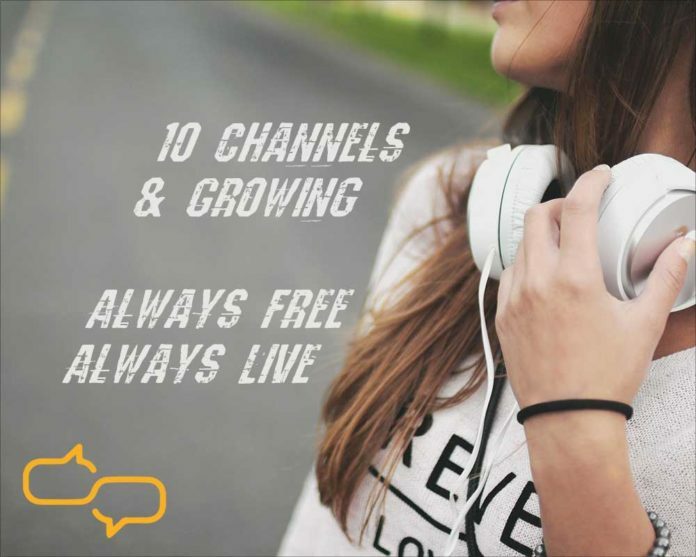 All of our streaming channels are always free and always ‘live’. We also stream The Sounds of Brazil weekly syndicated radio program four times daily at Connectbrazil.com, and provide our program to a growing list of affiliate radio stations and streaming stations, including Chicago’s jazz powerhouse 90.9 FM WDCB, and Orlando, Florida’s Brasil Radio at 93.1 FM and 810 AM. And no app is needed for The Sounds of Brazil’s streaming station. Just click the ‘play’ arrow at the bottom of any page at Connectbrazil.com. We are here to support the musicians who work hard to create to music we love. Musicians can submit their music for airplay consideration by clicking here. We even reward select musicians when they schedule their worldwide debuts with Connectbrazil.com. Check out all of our streaming channels by clicking the ‘Streaming Music’ tab from our menu at the top of any page, including this one, and happy listening! XODÓ! The Rhythm Of Life! Want to see what’s coming next? Click here!